If the $5.38 set of parts has a non-working part - a flyback, or a CRT Neck Board - was removed, you'd either render the item scrap value $0 + (5.38-part) - 0.30(the "mystery" part removed by BBC or Skynews - one of them merely "snipped" a wire, the other removed the neck board), or you'd buy the replacement part on Alibaba.com. You either have a $40 video display device, or you have $5.68 less the copper part value... you have at least $34 to spend on the replacement part. Repair in Africa is completely logical, engineering and economic decision. If the CRT ray gun is all worn out, leaving a blurry picture, or the vacuum is cracked, no one pays for a $20 part... because Europeans and Americans are willing to just GIVE them to you. A worn out CRT used to be cut (in the 1980s) and rephosphored and revacuumed together again. But if rich people are tossing good ones out, they are easy enough to find. I call it rational economics. Jump forward to the pink letters to see the maths. But some don't believe in it... they don't believe that the TV repairs done by a hundred thousand USA television repairmen in the 1980s could be done by black Africans. 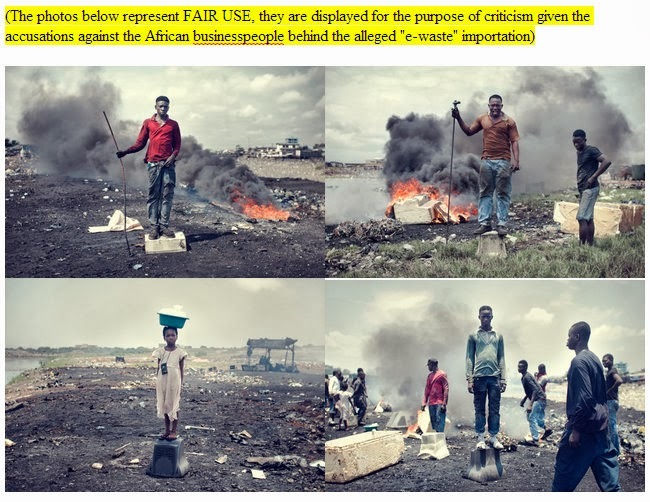 Why does Interpol and UK's Environmental Agency assume that people travel from Africa as "waste tourists", primarily motivated by $5 in scrap (and a benevolent interest in saving $4 in worthless CRT recycling costs)? JU JU!!!! Magic!!! Mysterious voodoo!! Ju-ju means magic, unexplainable, mysterious forces and powers. It was a word used almost daily when I lived in Cameroon, West Africa, between 8/1984 and 12/1986. Someone who could do something no one else could do might be rumored to be using juju. If a device was once owned by a white person, the "stewardship" fetish is attached. Whitie can now send international police to track you down and arrest you for "wastecrime". If the Africans buy a TV monitor used from China, or new from India, all the same toxics apply, but Interpol is no longer interested... it's missing the white man fetish. That's why we care. As we review the various videos put together between 2008 and 2012, we see that Africa television exports are almost always presumed to be "waste". We get lots of photos of young people standing on 20 year old WEEE junk, and not many photos of the goods actually coming out of containers. But the point is crystal clear - PAT Tests are necessary (a UK "tested working" standard defined for direct consumer use) because Africans are too primitive to repair electronics. In fact, most Africans are as illiterate in capacitors, wires, audio visual repair as most Americans or Europeans. Most people don't know how to repair their own TV. But there are plenty of people who do. There's one big difference between electronics repair in Africa and in the USA... Not many USA valedictorians (smartest kids in the class) choose TV repair as a career. But if you are a smart African, electronics repair is a pretty darn good choice of jobs. Color and how it works. Hypothesis: Exporters put junk electronics in containers in order to avoid the cost of "proper recycling". Busted. The fact that one person is willing to sell something for more than they THINK it is worth does not make it a wastecrime if the item is worth more than they thought. Visit Adam Smith. The alleged intentions of the white person - to reduce the cost of waste - don't actually prove a crime has been committed. They had a choice between an A + B + C buyer who had $0 for the CRT, and an A + B + C buyer for whom the CRT represented Alibaba.com's $20 replacement cost. And for that damn matter, the material could be "properly recycled" in a country which does it less expensively. There's no evidence of a crime when someone gives work to someone who does it less expensively. That is NOT evidence of a crime. Adam Smith was talking about African TV repairpeople buying from white people that buy new flat screens. Extreme best cuthroat case: Scrap Metal Junkie. (warning people will be unhappy if you link to this guy, notorious for leaving CRT glass for others to deal with). I've offered a more realistic round estimate @WR3A which factors in local Africa scrap prices are lower, closer to the actual value, Note @ScrapMetalJunkie price is for "best case" 15" monitors. Scrap Metal Junkie most optimistic scenario is 15" Monitors $5.38 each with least residue per s.f. (of sea container). Most optimistic price, easiest material, price after work is done to USA scrap metal dealer. Scrap Metal Junkie warns it's much worse for TVs "If you are unhappy with how much money you are making from scrapping TVs, I suggest you try scrapping Computer Monitors instead. They have less glass and more metal." Most of us think Scrap Metal Junkie exaggerates the value, I'd put it at under $3 in metal (yokes are about $0.65, coils $0.95). And DVD and VCRs in Benson's containers are worth about $0.08 / lb x 5 lbs. Numbers below are pure copper cleaned, no transport, no work, no disassembly or burning, it's the pure value of copper in the container. Mr. Benson was paying the London Collectors more than the WEEE fees, about $4 per unit, paying rent and labor. He doesn't ship 15" CRT monitors, despite them being higher copper value, he goes for TVs worth less. He avoids older units and monitors with more copper value. He itemizes the units. And to get their "waste" TV back, BBC and Skynews have to pay about $40 for it at the Lagos market! My 2010 prediction was that for a shipment to Africa, you waste your time at under 70% reuse, I predicted at least 85% based on similar math to the above. Ramzy Kahhat and Eric Williams found 87% reuse in Peru. UNEP found 91% reuse. The economics doesn't support "wastecrime", the photos don't support "wastecrime", the number of households watching TV in Lagos doesn't support "wastecrime", there is no incentive for Benson or Africans to be flying over with their money to buy scrap in London. If 10% are bad, Benson doesn't even get 10% of the scrap value above, that is the money when the final copper is delivered, and Agbogbloshie scrappers do not get @SMJ prices. Benson has to sell his 90% for X to get the 32K british pounds ($1.72) the prosecutor said he'd make on (is it 4?) the containers in question. 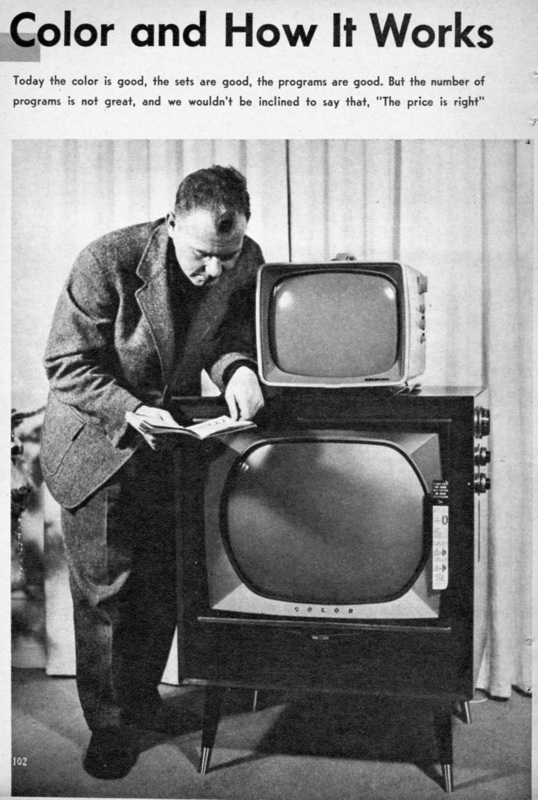 If it's 4 containers x 450 per container (large TVs) = 32,000 BrPS, that says Benson makes $30.57 per TV, after shipping, according to the UK Environmental Agency. Who makes more sense, Lord Chris Smith or Adam Smith?